stayed home and did some much needed blog maintenance. 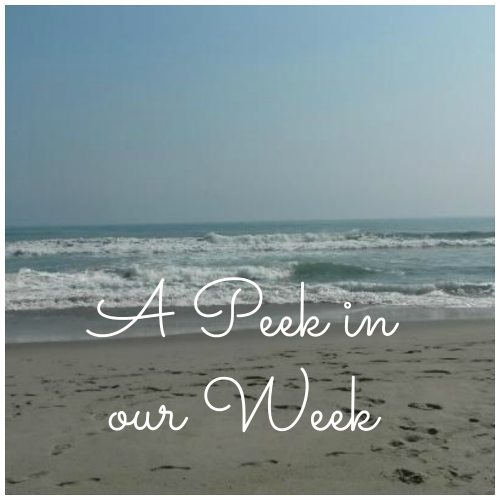 Collectively we agreed that or blog was due for a little update. I don't do that well with change, so I was a little hesitant to start playing around with things. I was worried that I might mess something up and then not be able to fix it. I think I got a good bit of it done, but we will be working on little things throughout the week. Since YOU are the ones who read our blog, we'd love to get your opinion on a few things. What do you think of the font? We increased the size. Is it easy to read? What about the colors? Are they too muted? Is the blog pleasant to look at? Does it hurt your eyes? Are you able to find things easily? We still have some work to do on our pages. Our "About Us" page needs updated and we need to make a few more tweaks. Is there something that is missing from our blog? Before we made some changes, we checked out some other blogs. You guys have some very cool blog designs! I hardly ever get to see your blog designs because I usually read blogs on my phone and only get the mobile version of it! We'd love to hear any opinions or suggestions you might have. Thanks for the suggestion Karen, I do see what you are saying and I do agree with you. I think it does need to be a little brighter , but on the other hand it does match the background pretty well. That may be on my list of things to do when I get all the other kinks worked out. Thanks again! I like your changes! Yes, I think the text size is easy to read. And I like the new streamlined design of the header. Lacey picked a good time to go to Florida, because it is 21 degrees this morning following a cold day yesterday. I love the new layout and look of the blog. Everything is really easy to navigate, which is one of the most important things for me. Thanks Danni! We appreciate you checking it out! I love the header, and the blog is easy to read - it's very pretty! The only thing I don't like is having to click the "read more" part to see the entire post. The "read more" allows our posts to be shorter on the home page and allows more posts to be seen. This way people don't have to click through to find what they might be looking for. Thank you for your honesty though. This is just a trial version, perhaps we will change things up! I like the muted colors and larger font. I also like that there are no adds within your content (maybe on the side) so it is easy to read! Thank you Megan! We were worried that the teal green color might not show up on some screens. I love the muted colors and the larger font. I think it looks great! The header does seem a little busy to me. That's what I was afraid of. There is too much text up there. We'll have to work on that. I am liking the updates! I think the color could pop a bit more- but that is my personal preference. I know, it is hard to make changes! The new header looks great, very streamlined and pretty! Everyone has different preferences, but I find your text easy to read. Thanks Pam! I never realized how small our font was until I read a tutorial that said DON'T use 12 point font..haha. The new layout looks good. The only color combo I don't like is black background, white font because it wreaks havoc with my eyesight. The font is a good size and I really like the header. Thanks Lesley. I agree with you. I am not a fan of the dark background and white text. It hurts my eyes too! The changes look great! Personally, I'm a fan of the slightly larger font size. I like the new layout - easy to follow and read. I'd agree with the person above in that the pink is a little muted in the blog title, but otherwise things look great! I love the new layout, the choice of header pictures are great :) I read often on my phone and the mobile versions do look different. I like the font choice. I just wanted to say I LOVE the new header! And I like the "click for more"...it makes it a little easier for me to scroll through and catch up with you guys since I'm almost ALWAYS behind on my blog reading/commenting, haha.